Water biofiltration is the process of improving water quality by filtering water through biologically influenced media. 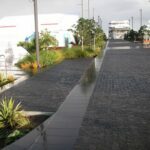 Stormwater biofiltration systems (also known as biofilters, bioretention systems and raingardens) are just one face of a range of accepted Water Sensitive Urban Design Elements. A typical biofiltration system consists of a vegetated swale or basin overlaying a porous filter medium (usually soil-based) with a drainage pipe at the bottom. Stormwater is diverted from a kerb or pipe into the biofiltration system, where it flows through dense vegetation and temporarily ponds on the surface before slowly filtering down through the filter media. Depending on the design, treated flows are either infiltrated to underlying soils, or collected in the underdrain system for conveyance to downstream waterways or storages for subsequent re-use. (Figure 1). Biofilters are are a low energy treatment technology with the potential to provide both water quality and quantity benefits. (CRC for Water Sensitive Cities, 2015, Adoption Guidelines for Stormwater Biofiltration Systems). 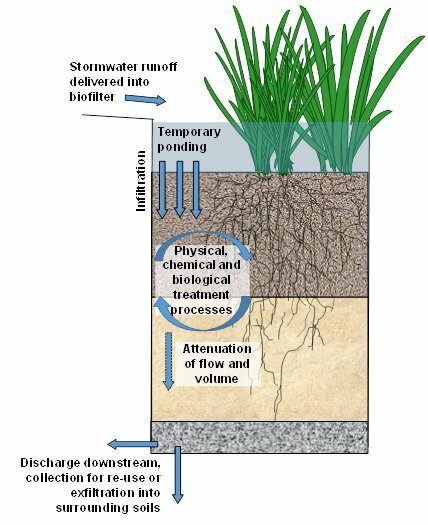 What are stormwater biofiltration systems and how do they work? The full guidelines are available on the Water Sensitive Cities website. Note: this version is best viewed on screen as images may not be of a suitable quality to print. Print quality versions will be available for purchase from the CRC in the future, if required. 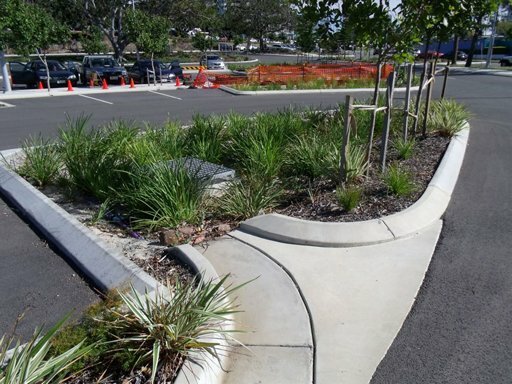 When designing your rain garden a holistic design approach to vegetation selection is essential. Consideration of the placement of species in appropriate positions corresponding to inundation frequency and drought tolerance is needed in addition to other considerations such as trees and shrubs for shade, tap rooted plants to maintain filter media infiltration, spreading plants including herbaceous plants may negate the need for mulch. 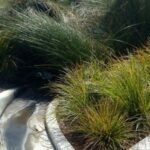 For guidance on appropriate plant species native to the Adelaide region that are proven to be effective at nitrogen removal and for a selection of potential companion plantings to enhance the amenity of your raingarden, download our fact sheet. At least 50% of the plants you select for a bio-filtration raingarden must be effective at nitrogen removal to ensure suitable stormwater treatment performance of your raingarden. This fact sheet includes photo images of the various plant species to assist your plant selection, courtesy of The Atlas of Living Australia (http://bie.ala.org.au/). 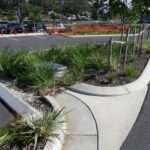 Have a look at the Plant species selection for amenity and resilience in stormwater biofilters and wetlands seminar notes by Shaun Kennedy, SA Water, for more ideas on what species are suitable for your raingarden.